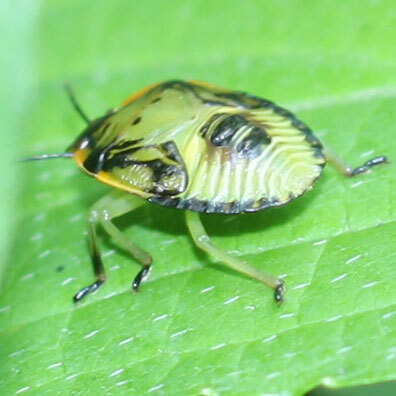 This little cutie is a stink bug nymph. 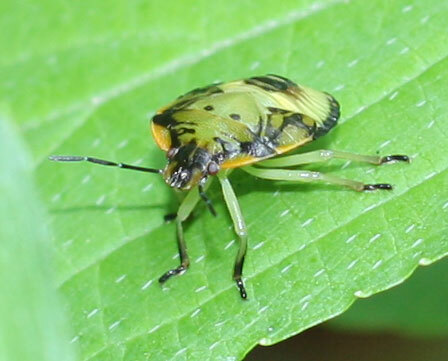 The stink bug, or Acrosternum hilare, gets its name because if it is scared it lets off a stench to scare away its enemies. 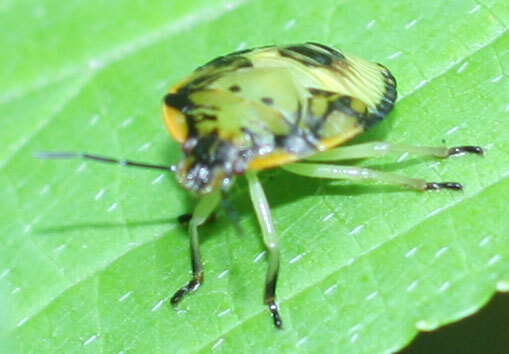 A nymph is a young form of a bug. 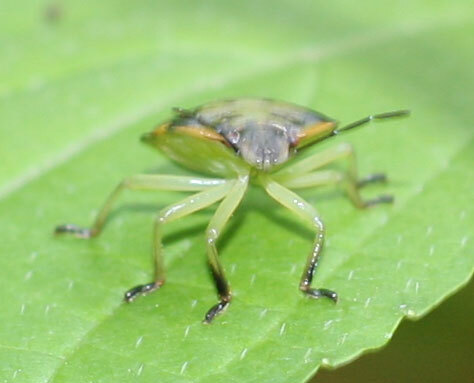 Stink bugs have a light green shield shaped body with six light green legs, and two long antennae. They have a small head and a much larger body. 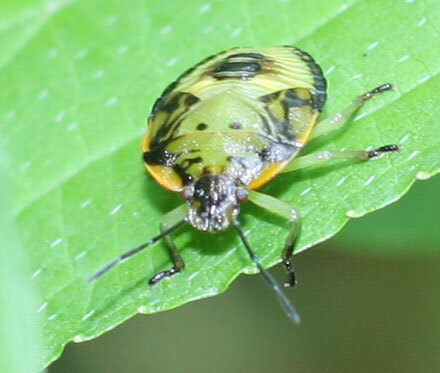 The nymph form of the stink bug has the light green as well as yellow and black markings on it. 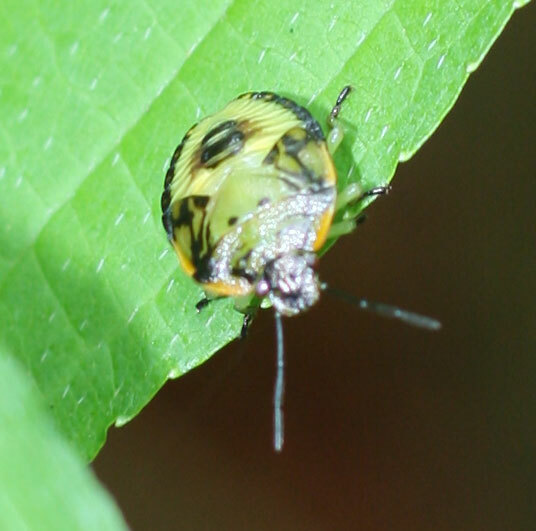 There are often three or four black dots on its back as well as ridges at the lower part of its back. 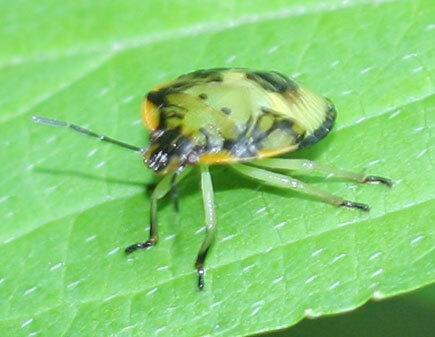 It takes about a month for a stink bug to go from egg form to adult form. 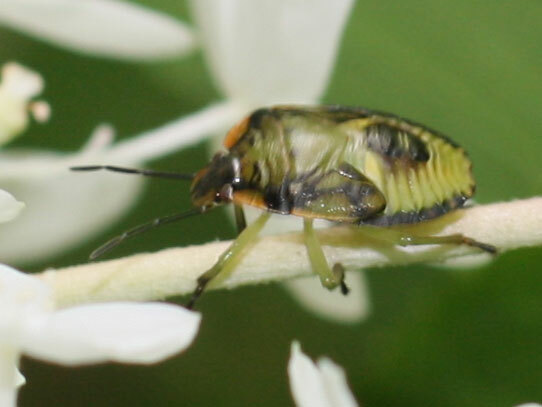 My boyfriend Bob actually took these photos for me. They were done in August 2013.